Firstly, creatine is not a steroid, regardless of what some of the things you may have read online might say. It is actually a combination of amino acids and it is found in foods like beef and fish, as well as being naturally produced within the body. Before speaking about creatine, it is important to first talk about the basics of energy production in the body. ATP, or Adenosine Triphosphate, is the body’s energy currency, and regardless of where we get our energy from, whether that be carbohydrates, fat, or protein, it must first be used to create ATP, and that ATP is what is used to create the energy, to contract a muscle for example. There is only a small amount of ATP stored in the body at one time, and it relies on being used and replaced quickly, in order to keep up with the activity being done, so that you can continue to do that activity. As you may know by now, carbohydrates are the body’s predominant source of fuel in high-intensity activities, such as a Gaelic football match, for example. This is because carbohydrates, or rather glucose, the broken down form of carbohydrate, can be stored within the muscle in sufficiently high amounts for this type of activity, as well as having the ability to produce ATP at a relatively fast rate. However, when we go to either extreme of intensity, such as slower, less intense bouts of activity, or short, extremely intense bouts, carbohydrates aren’t always optimal for the job. The low intensity activity that we go through everyday doesn’t need the high energy turnover of carbohydrates, and given that carbohydrate’s energy production is less efficient (less of the energy stored as carbohydrate provides ATP), the body tends to skew its energy source a bit more towards fat. Fat produces more ATP than Carbohydrates, but it also produces it at a slower rate, hence it would be better used for lower-intensity activities, but wouldn’t be suitable to higher intensity activities, where fat would be unable to replace used ATP at a high enough rate. On the other end of the scale, when we look at really short, intense activities, like full-speed sprints, heavy weight-lifting in the gym, and jumping, even carbohydrates can’t replace the used ATP quickly enough. In this case, the body will turn to what’s known as the phosphocreatine (or creatine phosphate) system, which creates ATP much more quickly than carbohydrates or fat can, but can only keep producing ATP quickly for a short amount of time. This kind of reminds me of the old Playstation game, “Need for Speed”, where you raced cars and if you needed a quick start or an extra boost to overtake an opponent, you could you the NOZ button and get a short boost, but it only lasted for a few seconds. That’s kind of like the phosphocreatine system. In sporting terms, this is easily seen by going for a maximal-speed sprint, and observing the point where you begin to slow down. Or, if you go for a few repetitive jumps and observe the point where you are no longer able to jump as high as the first few jumps. The creatine phosphate system produces ATP at a rate that is limited partly by the amount of creatine that is present in the body. 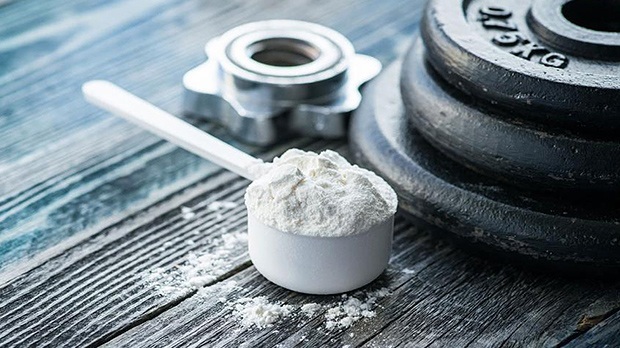 Without getting too deep into the weeds, when creatine is either created in the body or consumed through the diet/supplements, it joins to a phosphate, to form creatine phosphate. This phosphate molecule can then be used to replace the phosphate in the broken down ATP, to form more ATP. Don’t worry if I lost you there. All I was really saying was the creatine helps recycle ATP and that allows more ATP (energy) to be produced in these short, intense activities. Before going on, it is worth noting that these systems don’t work independently. They are all operating at once, in differing amounts. For example, even in a marathon event, typically though of as a lower-intensity activity, a combination of fats and carbohydrates will also still be being used, as well as the phosphocreatine system contributing. Although creatine can be produced in the body and consumed through foods like meat and fish, the amounts that we can get in these ways isn’t close to what we can get in supplemental form. Hence, to attain the benefits associated with increased creatine levels in the body, supplementation is recommended. How Can it Help for GAA? Creatine has been shown to be beneficial in activities in the 0–10 second range, including sprinting, lifting weights, jumping etc, as well as improving strength and muscle gain. This is largely down to the benefits with regards to the phosphocreatine system that I mentioned earlier. There are other potential benefits, however, specifically for the strength and muscle building aspects. Firstly, creatine helps hydrate muscle cells. This can lead to increased body weight, which, along with the other benefits of creatine, can lead to improvements in strength, but also gives the appearance of muscle being bigger. Now, it is worth considering that you may not want extra bodyweight, especially if running speed is something you want to maintain. However, the performance benefit of the extra creatine may outweigh the benefits of the slight increase in body weight. This is something that is going to be very much dependant on the individual, their goals, and how they react to creatine supplementation. It’s also worth noting that if you are in a fat-loss phase, the increase in bodyweight associated with creatine supplementation may mask your fat-loss progress, by altering the weight you see on the scales. This isn’t to say you shouldn’t supplement with creatine when trying to lose weight, but rather that you should be aware of these potential changes. Despite what some of the media would have you believe, creatine has not been shown to be harmful to health, if taken within the recommended range. It is the most researched sports supplement on the market, and there haven’t been any health problems associated with it. However, it is advised that those with pre-existing kidney conditions should perhaps refrain from supplementing with creatine, due to the lack of research done in that area. The recommended dose for creatine is 3–5g per day. With creatine, the aim is to saturate the cells with it over time, and therefore it is important to be consistently supplementing daily. There are a lot of different creatine supplements out there, but I recommend using a creatine monohydrate. Whilst there are a lot of other types that claim to be superior, none have really shown to be, and since creatine monohydrate is usually the least expensive, I recommend using that. From what we’ve gone through in this article, you may be thinking that you should be taking it before the type of activities that it improves, but it doesn’t work in this short-term way, in the way that something like caffeine might do. It takes weeks for creatine to saturate the cells. For that reason, the time of day you take it is largely unimportant, so I usually recommend simply taking it at a time where you’ll remember to take it daily, so if you usually have a shake after training, then you can simply mix it in. If you usually take supplements first thing in the morning, then adding in your creatine here could be an easy way to remember to take it. Do You Need to Load it? A common question is with regards to whether or not you should load creatine, meaning taking a larger amount than the recommended dose when you start taking it. Whilst this can help saturate the cells more quickly, I usually recommend just taking the standard does from the start, as opposed to loading it. People can sometimes report digestive upset when they take beyond the standard dose. As well as this, if you are going to experience weight-gain in the form of extra water stored in the muscles, this is likely to happen more quickly if you load it, and this may not be ideal. Imagine training one week at 75kg and the next week at 78kg. That’s an extra few kgs to carry around, without having adapted to an increased bodyweight over time. Not that people will always see this drastic of a bodyweight increase, but it’s an example to illustrate the point. In summary, creatine is a safe, effective supplement for those who want to improve performance in high-intensity sports such as GAA sports, as well as those who want to gain muscle and strength. Supplementing with 3–5g per day, over the long-term can lead to these results. Anyone who struggles to lose weight, and has never been in the position of having to eat more food (in order to gain weight) will likely be envious of the person who is. But if you’ve ever struggled to eat enough, you’ll likely know that it’s not as easy as eating anything you want. You obviously want the food you are eating to be of good quality, and you don’t want to just over-indulge all the time and gain unnecessary fat. Not to mention, you can feel that you are force-feeding yourself, eating when you don’t feel like eating, all in the name of gaining some muscle and fuelling your performance. However, there are a few things you can do to make it that bit easier to hit your high food intake targets! Using an app like Myfitnesspal, you can track your calorie and macronutrient intake, and therefore you can clearly see if you are actually eating as much as you think, and adjust if needed. This helps you avoid having to reach for quick, less ideal options on the go, as well as allowing you to plan out meals that allow you to hit your intake targets. Think of apple juice versus and apple. There are roughly the same amount of caloires within a medium glass of apple juice as in 2 apples, yet the apples would fill you up a lot more than the juice. You can use this knowledge to get more calories in, by including some drinks/smoothies with your meals, and in between meals. Eating similar foods consistently isn't a bad idea in general, as it tends to improve consistently within a diet, but when we include more flavours in our meals, we tend to eat more, which is useful for those with that goal. This is partly why you can still eat dessert even when you feel full! You can use this tactic to your advantage by including more flavours in your meals, as well as increasing the variety of meals you eat. Eating 3000+ kcal from the likes of chicken, rice, and broccoli every day can become difficult even for the most dedicated clean eater. Food can become boring, and fullness can lead to not eating enough. This is why it can be a good idea to include some foods that you can easily eat and enjoy, that also allow you to hit your calorie/macro intake. Don't take this as a reason to abandon healthy eating habits, but at the same time, don't be afraid to add in some chocolate or pizza every now and then.! From an evolutionary perspective, hunger is part of the body’s process for motivating us to seek out food, ultimately so that we can survive. In the parts of the world where most people reading this will be, there is an abundance of food, and so, we rarely use hunger as or signal to eat. When, and how much, we eat is usually determined by things like habit, social convention, and convenience. On the other hand, when we are aiming to lose fat, we will usually be eating slightly less than the body optimally would like, so there is a certain amount of restriction involved, which can lead to hunger. With that said, there are a few things we can do to try to limit the amount of hunger we feel, which will likely lead to you being more likely to stick to your nutrition plan over the long term. I've seen this numerous times with clients on the Gaelic Athlete Nutrition Coaching Program, and it almost always ends up with a weekend blow-out, undoing a lot of the progress from during the week, leaving them wondering why they haven’t been making progress up to this point. When I get them eating an amount of food that allows them to make steady, predictable progress, whilst enjoying your food and not starving themselves, then that feeling of needing to eat the house down at the weekend goes away, and they make more progress than ever before! Try making a plan this evening for what you're going to eat tomorrow. It won't be perfect, but it'll put your mind at ease and you'll be more likely to make better choices. You can then adapt and change it as the days go on. Why are fruits, vegetables, and protein sources praised as the ultimate health foods? For you, as a GAA player, if trying to drop some weight, these foods should be a big part of your diet. This will help keep you full and satisfied, whilst keeping the diet interesting and allow you to eat a larger volume of food. ⁣⁣Even if you're trying to increase your calorie intake, you should still aim for adequate intakes of these foods, for their other benefits, including muscle building, recovery, disease-risk reduction etc. Often, the same symptoms can be seen with underhydration as with hunger (e.g. headache, tiredness, irritability). ⁣⁣So what you perceive as hunger may simply be thirst!⁣ If we mistake this signal, we can end up snacking and adding to our daily food intake, when all we may have needed was a glass of water. ⁣Aim to drink enough to have regular clear urinations through the day. Even if you are trying to increase food intake in an attempt to gain muscle, please don't take this as a reason to sleep less.⁣⁣ Studies have also shown the effects of lack of sleep on muscle gain, and the results were not positive. ⁣⁣If you want to know more about sleep, check out the article I wrote here: knowyourselfnutrition.com/blog/sleep. Just because you’re getting your nutrition on point doesn’t mean you should be feeling hungry all the time, and implementing some of these ‘hacks’ may help you reduce the prevalence of hunger, and therefore allow you to enjoy your food, and stay on track with your nutrition. When talking about hydration, it’s useful to think in terms of fluid balance, meaning the difference between the fluid that is going out of your body vs. the fluid that you are taking in. Even the fittest of bodies is surprisingly inefficient in terms of its energy use, and a huge amount of energy is wasted as heat, especially during intense exercise. It’s critical that we dissipate (or get rid of) this heat, in order to maintain normal body temperature, or else body temperature would rise extremely quickly, affecting vital biological processes. When we sweat, the sweat evaporates, and carries the heat energy away from the body, into the air (imagine the steam evaporating from a pot of rice, where the heat energy is being taken away from the rice into the air), helping to maintain the body temperature at a safe level. i.e. sweating cools us down. As athletes, we can sweat out litres of water during training sessions and matches, and the amount will depend on various factors, including your physical attributes, activity intensity, length of the activity, and environmental heat and humidity. Urination is one of the body’s mechanisms for getting rid of waste products, controlling blood volume and controlling amount of electrolytes in the body. These are all tightly regulated, and don’t need a huge amount of conscious effort on your part, apart from the few recommendations I’ll give later around altering fluid consumption. The amount of fluid that you lose through urination is largely dependant on the amount you drink. As well as being affected by other aspects like electrolyte levels and how much you are sweating. Fluids are also lost through breathing (the air we breathe out is high in water vapour), and excretion. These aren’t as relevant to this article, so I won’t go into depth on them. The fluid we take in can be in the form of water and other beverages, as well as some foods, like fruits and vegetables, which tend to have quite high water content. Consuming sufficient fluids is crucial for athletes, in order to match the fluids being lost through sweat and urination, or we risk seeing the negative effects outlined below. There was a study done that assessed two groups of athletes in the same running session. One group consumed water during the session and the other didn’t. The results showed that heart rate was significantly higher throughout the session in those who didn’t consume water, insinuating that the same exercise session was more strenuous when under-hydrated. The proposed reason for this is that as you lose fluid, your volume of blood decreases, meaning the blood is more concentrated and thicker, and therefore the heart has to work harder to pump it around the body, as it aims to circulate nutrients and remove waste products. As mentioned earlier, sweat helps regulate body temperature by dissipating heat from the body i.e. it cools us down. When we’re dehydrated, we sweat less, and therefore the body will either increase in temperature to the point of causing harm, or you will be forced to reduce intensity due to the discomfort of overheating. Either case will result in performance being diminished! Electrolytes are electrically charged particles, which are involved in carrying electrical impulses around the body, and are involved in the nervous system and contracting muscles, both of which are extremely important for athletes. They are also involved maintaining hydration levels in and out of the body’s cells. The main electrolytes include sodium, potassium, chloride, bicarbonate, calcium, phosphate, magnesium and others, all with their own functions. We lose some of these through sweat, and if we don’t replace them and they get too low, we can see issues with muscle cramping, fatigue, and ultimately a downturn in athletic performance, or worse than that, health risks. There have been cases, mainly during long-duration events, where people have had serious health issues, and even died after drinking too much water during the event. Although they were following wise advice in replacing the water they were losing through sweat, they weren’t also replacing the electrolytes lost through sweat, resulting in the sodium content of the blood becoming diluted, which leads to complications with cell swelling. This isn’t a likely concern for GAA players, as athletes in general typically find it difficult to consume a lot of water during training and matches, but I use this example to show that there is a limit to how much you should be drinking, so taking multiple litres of water in directly before a match or at half-time, for example, isn’t going to be a good idea, and sipping on water throughout is a better idea. I also use it to point out that when you are drinking a lot of water, for example during an intense championship match in the summer heat, it’s probably a good idea to add some electrolytes to your water, either in the form of a pinch of salt, or an electrolyte supplement, in order to replace the electrolytes lost through sweat. All of this might have you feeling overwhelmed as to what you need to do with this information. The good news is, the body is extremely good at regulating all of this. If you drink too much, your body will excrete more. If you consume too much salt, your body can usually adjust, and so on. The main thing we have to do is to avoid the extremes. With that said, performance usually goes down at about 2% water loss, and thirst usually starts between 1-2%, meaning that if you turn up to a training session or match feeling thirsty, you are already selling yourself short, as it is usually difficult to drink enough during the session or match, to match the amount you are losing through sweat and exhalation, resulting in further dehydration and further performance detriment. The amount you should drink will depend on a lot of factors, but generally about 1L per 25kg bodyweight (3L for a 75kg athelte) will be a good starting point, along with seasoning your food and eating plenty of fruits and vegetables, in order to ensure adequate electrolyte intake. Urine colour should also be monitored, ensuring regular, clear urinations throughout the day. During matches and training sessions, a good starting point is to simply consume fluids at natural breaks in the game, aiming for 1-2 mouthfuls every 10-15 minutes, with slightly more during half-time. This drink should generally be made up of water, with some electrolytes, and perhaps some carbohydrates (no more than 7% concentration) which can help with the gut’s absorption of the fluid, as well as allowing you to gain the performance benefits associated with carbohydrate supplementation. This tends to be exactly the composition of most sports drink, and now you know why! After tough training sessions and matches, it’s important to start the rehydration process soon, which should involve sipping on either water or the pre-mentioned drink in the hours following the session. There's a spike in car crashes on the last weekend of March every year. Because time "springs forward" by an hour, and we all lose and hour of sleep. That's how important sleep is. In 2014, the U.S. Centre for Disease Control declared insufficient sleep as a public epidemic. So with the general population suffering from not getting sleep enough, you can imagine how athletes, who may need even more sleep, can be affected. "It's Fine, I Can Get Through it"
The problem with lack of sleep isn't just that you feel more tired all day (although you'd think that would be enough to get us to sleep more), it's that it affects your performance, fat-loss, muscle gain and general health. Studies have been done to investigate the differences in the performance outcomes in people who got different amounts of sleep, and people who got less sleep experienced greater perceived exertion (training/workouts felt harder), lower time to exhaustion (they ran out of steam more quickly), and slower reaction times. As you can imagine, none of this is great for GAA players, where these things are crucial! Sleep deprivation not only makes us hungrier, but also makes high-calorie, hyper-palatable food, (typically referred to as "junk food") more attractive to us. More specifically, brain scans show the reward centres light up more in response to junk food, when someone is sleep deprived. So whilst sleep doesn't directly affect fat-loss, it can definitely affect your food choices, which obviously has a major effect on fat-loss. There was a study that compared two groups over a series of weeks: one that slept 5.5 hours per night, and one that slept 8.5 hours per night. Over the course of the study, the first group experienced 55% more fat-gain, and 60% more muscle loss, despite both groups eating the same amount of calories. Muscle gain is dependant on putting a stimulus on the muscle, and then allowing it to recover. If we skimp on sleep, we reduce both the stimulus and recovery sides of the equation, and majorly sell ourselves short in terms of muscle gain. Lack of sleep can also have a huge effect on health. In addition to the aspects already mentioned, also affected are things like memory, inflammation, testosterone levels, growth hormone levels, and immune system function. Getting sick keeps you out of training, which means less time practicing your skills, getting fitter and staking a claim for your place on the team. Studies suggest that the required amount of sleep varies a lot between individuals but 7-9 hours is about right for most people. Take a 2-week testing period (like a holiday, for example), where you go to sleep at the same time every night, without setting an alarm. You'll probably sleep a lot in the first few nights, as you catch up on the sleep debt you've built up, but in the second week, you should start to wake up at about the same time each day. The amount of time that you sleep waking up naturally is likely to be the amount of sleep that is optimal for you. It's not just about the amount of sleep you get. It's also about the quality of that sleep. There are a few proven ways of improving the quality of your sleep. 1) Sleep in a Cave. Screens like the T.V., laptops and your mobile phone emit a type of light referred to as blue light. The brain recognises this in a similar way to the sun, and since the body's sleep-clock (or more technically, circadian rhythm) is partially controlled by exposure to sunlight, the systems that would otherwise be telling your brain it's time to sleep, won't do so, and you may struggle to fall asleep or your quality of sleep may suffer. Having a cut-off time one hour before bed can help reduce this issue. Why do some of us a pre-match routine? At least in part, it's because we know that that routine puts our body and mind into the right state to undertake the task at hand. So, we know that routines can affect our mental state. The same is true when it comes to sleep. A good sleep routine will put our body and mind into the right state to fall asleep and get into a deep sleep. Again, this will vary for each person, but generally, it should involve things that progressively relax you. Some suggestions would be foam rolling, easy stretching/movement, reading a book, drinking caffeine-free tea, writing, chatting to someone, having a bath etc. Caffeine can take about 5 hours for half of it to leave your system, meaning that it could affect your sleep for even longer than that. For that reason, I'd recommend restricting coffee or other caffeine products after mid-day, in order to optimise sleep. Nicotine is another stimulant that should be avoided in the evening. Alcohol can also have an adverse effect on sleep. Of course, it can initially make you fall asleep more quickly but as time goes on, during sleep it tends to act like a stimulant and hamper your ability to get into a deep sleep. It's been said recently, that sleep is the best sports supplement available (and it's free!). Hopefully you can now see why that's the case! In my own experience working with GAA players, it sometimes seems that carb-loading is touted as the be-all and end-all when it comes to performance nutrition. On the other hand, most players have never really tried it, beyond maybe having some pasta the night before a match. And although it clearly isn’t the only thing we should be worried about, it is worth delving into what it is, and where it should or shouldn’t fall into your nutrition plan. When you’re making those blistering runs back and forth up the pitch, or doing tackling grids in training, the body needs to create energy quickly to keep up with those demands. It also needs to be able to do that for a sustained period of time. The optimal fuel source for this job is glycogen. When we eat carbohydrates, they are broken down into glucose, which is circulated around the body, and ultimately stored as glycogen in the muscles. This glycogen is then available for use during intense activities, like those we see in GAA training and matches. The more glycogen we have available in the muscles when it comes to match-day, the more fuel we have for the match, and hopefully, the better our performance will be, or at least we won’t be limited by our fuel availability. Carb-loading (or carbo-loading or carbohydrate-loading) is a term used to describe a strategy used to increase the amount of glycogen stored within the muscles for a sporting event, by increasing carbohydrate intake in the days leading up to that event. The original method proposed involved a few days of very low-carbohydrate intake (with a lot of training to deplete stores), followed by a few days of extremely high carbohydrate intake (and no training). As you can imagine, however, this was logistically quite hard. On match-week, all you want to do is focus on getting to match-day, but here, you’re looking at 7 days of changing your diet, with each of those 7 days being different from your usually intake, and with the presupposition that you have complete control over your training load. Sure, if you thought there was no other option and that it was going to help a lot, you’d probably do it, but fortunately, researchers compared an approach of simply increasing carbohydrate intake in the 2-3 days leading up to the event, and found that this was probably just as effective as the approach of going from very low-carb to very high-carb days. Does it Work for GAA? The research I just mentioned was done mostly on endurance athletes, who obviously have different demands than GAA sports. The former involves staying at a relatively steady pace for a long time, whereas the latter involves mostly short, intermittent bursts followed by short recovery periods. With that said, both of these significantly deplete glycogen stores, particularly at higher intensities. For that reason, maximising glycogen stores is likely to be beneficial for GAA sports, and anecdotally, a lot of the clients I’ve worked with have noticed the benefits when implementing a carb-loading approach. At a very basic level, given that glycogen is the predominant fuel source in high-intensity training and competition will be improved by having sufficient stores to pull from. With that said, it’s probably not as necessary for a GAA athelte as it would be for a long-distance runner, since it’s unlikely that a GAA athlete is going to completely deplete their carbohydrate stores during a match, but having high glycogen availability can improve athletic performance, and it’s better to have the stores there for when they’re needed, also because it tends to be a much better fuel source that fats or muscle protein. As previously mentioned, my recommendation would simply be to increase carbohydrate intake in the 2-3 days leading up to match-day. For some, this may simply be a case of adding in a large portion of carbohydrates to each meal, or adding in a couple of extra high-carb meals/snacks. For those who want to bring in a bit more accuracy, or already tend to track their food intake, I’d recommend consuming 7-9 grams of carbohydrate per kg bodyweight (560-720g for an 80kg player). For those who are new to tracking their food, this can be tracked through the Myfitnesspal free phone app. On a practical level, the usual sources of carbohydrates (potatoes, rice, pasta, oats etc.) will be a good idea. However, I would highly recommend opting for mostly lower-fibre options, as well as bringing in some higher glycemic options (breakfast cereals, sports drinks, sugary sweets, juices) for reasons outlined in the next section, but also because players often find it difficult to get enough carbohydrates in when they are eating very filling sources. 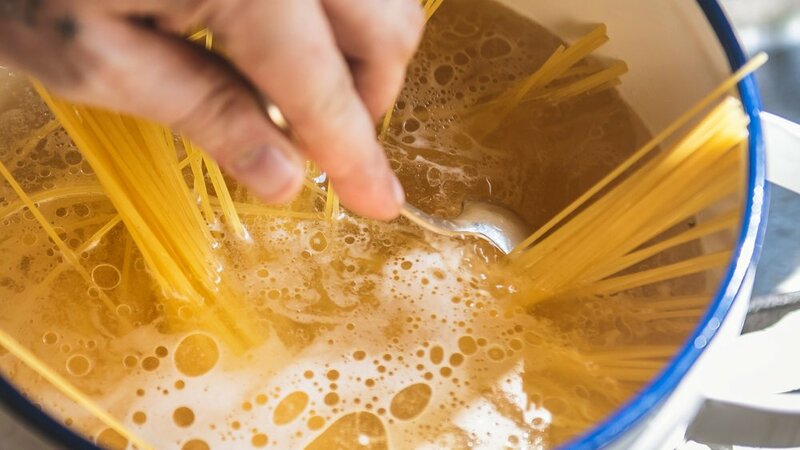 There are a few common problems that tend to come up with carb-loading approaches, and the first thing to mention is that you should practice it beforehand, in the weeks/months leading up to match-day, so that there are no surprises when it comes to doing it for match-day. Carb-loading shouldn’t be used an excuse to eat whatever you want. It shouldn’t be used as an excuse to overeat on pizza and pastries the night before a match. Instead, it should be viewed as a strategic approach to improving performance. Yes, you will be eating more food, but the likelihood is that you will have to make a conscious effort to eat enough and to eat the right types of foods. When carb-loading, you should increase your carbohydrate intake, but reduce, or at least limit, your fat intake. (note: You should also keep protein to usual levels, for the same reasons as usual.) We want extra carbohydrate stores in the muscle, and adding in extra fat intake isn’t necessarily going to help with that, but will provide additional (excessive) calories, on top of the already high levels. In order to achieve manage this, we want to be looking at carbohydrate-dense sources, like rice, pasta, potatoes, cereals, breads, as opposed to things like pizza, pastries, foods with creamy sauces and deep-fried foods, which do tend to contain carbohydrates, but also contain a lot of fat. Even having some of the foods usually thought of as poor food choices, like breakfast cereals, sugary sweets, and fruit juices can be used here as easy-to-consume sources of almost completely carbohydrates. Any major change to the diet is likely to cause gut issues, as the gut tends to adapt to what you feed it, at least to a certain extent. Even if you were to majorly increase fibre intake (fibre is generally seen as a good addition to the diet), the gut would struggle to deal with it, and we may experience digestive issues. In that case, it would be important to gradually increase fibre intake and allow the gut to adjust. The same can be true for carbohydrate intake. Asker Jeukendrup is a great source if you are interested in getting into the nitty-gritty of this stuff, and perhaps I will do a separate article on the topic, but for now, it is enough to say that it is important to “train the gut” to get used to high carbohydrate intake, if you plan on using a carbohydrate-loading approach. This can be done by eating a relatively high amount of carbohydrates in general, but also in practicing carbohydrate-loading for training sessions, or less-important matches in the weeks leading up to the game. Gut issues can also occur as a result to eating too much fat, fibre or protein during the carb-loading process. This is easily done when increasing carbohydrates, as we may feel the need to increase all of our food sources. However, it is important to keep fat, fibre and protein intake under control, and increase carbohydrate alone. It can also be a good idea to opt for fewer of the whole-grain type carbohydrate sources during the carbohydrate-loading period, since these will inevitably have a higher fibre content. Another, often overlooked, issue is stress, which can result in gut discomfort. This is often unavoidable to some degree, which is why players often prefer to have a lighter meal before a match, increasing the importance of having done most of the fuelling up in the previous days. In the context of GAA training, this means that we want to be able to train, and after a rest period of usually 24-48 hours, be at the point where we’re able to repeat that training session with equal or greater intensity. That is to say, we want to create a stressor on the body, and allow the body to recover and adapt to it. Over time, this allows our body to handle more work, as it gets stronger and more enduring. This can be seen in the graph below, where the line moves down with each training session, signalling fatigue, but moves upwards between sessions, signalling recovery and adaptation. This issue is that when we don’t allow for adequate recovery and adaptation, whether that is through inadequate rest, inadequate time between sessions, added life stresses, or poor nutrition, we go into that next training session under-recovered. If this is repeated chronically, over time, it can lead to diminished performance, fatigue and often, injury. Hopefully that starts to put into context the post-training meal, and it’s importance at a time where the body is most fatigued, but also shows that it isn’t the only important aspect, since the recovery and adaptation period is much longer than the hour or two after a training session. If you’ve ever done a hard training session, you’ll already know that the recovery isn’t done only in the hours after training, and your sore legs the morning after will let you know that. As mentioned, the aim with nutrition between sessions is to get back to a state where you could repeat the session with similar or greater intensity. This is done through allowing for recovery and adaptation, as well as refuelling. There are a lot of things that we can do to effect this, including sleep/rest, interventions like ice baths, and even different types of recovery sessions, and and I will write articles about these topics, but in this one, I want to specifically talk about nutrition. The first thing to consider is protein. As you may know, protein is broken down in the body into amino acids, and these amino acids can be seen as the building blocks of muscle tissue (among other things). Given the stress that the body and muscles go under during training, the demands for these amino acids is great after training sessions, particularly if it’s been a while since your last protein feeding. This is, in part, due to the fact that the muscle tissue will have been partially broken down during the training session, which we will want to counter-act, by providing protein and therefore signalling a Muscle Protein Synthesis (MPS) response, where the body will signal the creation of new muscle. The body requires around 25g of protein from a good quality source in order for this to happen, and this can be optimally signalled about 4-5 times per day. This is one reason why the thought that “the post-training meal or snack is all that matters for recovery” is false. That is only one opportunity to signal this MPS response, and it is important to continue to signal this in the meals that follow. In terms of timing, people often think that they need to get a protein shake in as soon as their foot touches the changing room floor after the session. This is potentially a good thought taken too far. Whilst, as we mentioned, we want to take the opportunity to get some protein in soon after training, waiting 30-60 minutes after finishing the session will likely be no problem, which may be a relief if you’ve felt the discomfort of trying to eat of drink something immediately after a really tough training session. And of course, this post-training protein feeding doesn’t have to come from a protein shake. Whey is a great source of protein, being quickly digested, quickly absorbed, and convenient, but it is only one option, where your usual sources of protein (chicken, meat, eggs, dairy products etc.) are also sufficient to get the job done. If you are going to be fully ready to complete the next session to the best of your ability, it is important that you have adequate fuel in the muscles. For the high-intensity training sessions and matches that are usual in GAA, the main energy source is carbohydrates, or more specifically, the stored form of carbohydrate, known as glycogen. Given that you have likely just used a lot of that glycogen during your training session, it is important to refuel in time for the next session, and that means eating sufficient carbohydrates. Sources include the faster-absorbing sources like sports drinks, sugary sweets and some fruits, as well as the slower absorbing ones that you might have as part of a meal, like potatoes, rice, oats and pasta, and actually, getting some of both in can usually be helpful. The exception might be for someone who is aiming to lose weight, where avoiding the faster-absorbing (and therefore less filling) sources might allow you to bias your intake towards the slower-digesting sources, and therefore remain fuller and more satiated with your food. The amount that you eat between this training session and the next will be determined by a lot of factors, including your bodyweight, general activity levels and body composition goals. (Read this article on your calculating your macronutrient targets). However, what we do know if that for optimal performance in the next training session, that refuelling does need to happen at some stage, and it is a good recommendation to start that refuelling process after the training session, especially if you are training or competing again within the next 24 hours, in order to avoid struggling to get enough carbohydrates in in the meals leading up to that session. In terms of timing, it probably isn’t as important as the timing of your protein, but practically, it’s probably easiest to have some carbohydrates with your protein feeding. Water is another thing that will be depleted during a training session, and should be considered in the post-training period. Being adequately hydrated aids with digestion, blood flow, and mineral balance among other things. Since we lose a lot of water during training sessions through breathing and sweat, it is important to try to maintain hydration during the training session, but also to continue to rehydrate afterwards. This can be through fluids like water, sports drinks, smoothies and milk products. One metric for assessing hydration is to measure how your bodyweight differs after the session from before, as a result of fluid losses, and aim to get back close to that weight in the hours following the session through sipping on water and/or the other fluids mentioned above. It means that you have to focus on your overall nutrition, not just one meal after your training session. It means that if you happen to be in a situation where you can’t get a decent meal straight after training, all is not lost, since this is not the only meal that affects your recovery and adaptation to training. It was 5pm on the day of an under-age league match. 17-year-old me looked through the kitchen cupboards and fridge, trying to put together a pre-match meal. I guess I must have read somewhere, earlier that week, that carbohydrates were the body’s preferred energy source, and decided that the more of them I could eat, the more energy I would have for that’s night match. This led to the ‘obvious’ meal choice of two packets of microwaveable Uncle Ben’s basmati rice, with nothing else, except a touch of sweet chilli sauce, for taste. After chomping through the bulk of the rice, I slumped in the chair, wondering how this feeling of bloated, drowsiness would eventually lead to me performing at the top of my game in 2–3 hours, but still, I trusted that this information I’d probably read was factual and that this feeling would ease off by the time I got to the game. It didn’t. With the rice still lodged in my stomach, and still feeling no surge of energy, I sat in the changing rooms before the match, wondering what I’d done wrong. Needless to say, the game passed me by, and any energy I had was used trying to stop myself from throwing up. I assume we all have our pre-match meal disaster story, and have tried many different combinations of meal timing and meal content. I hope that this article can shed some light on what we should be thinking about in relation to nutrition leading up to a match. If we look at the stages of preparation from a nutritional point of view, we can’t overlook the general diet in the weeks and months leading up to the game, so it is worth mentioning that even the most optimal pre-game meal is not going to make as big a difference as addressing the diet in general. Doing so will allow you to have optimised our body composition and created good habits. Making sure the general diet is on point is crucial. As a general recommendation, I would say, basing each meal around a protein source, adding a good portion of vegetables, some source of healthy fat, and enough carbohydrates to support exercise (usually quite a bit for GAA Athletes), while adjusting overall intake of food based on goals and progress. It’s also important to remember that the “fuelling” period for a match goes beyond that meal you have a few hours before the match. It’s important to also start thinking about the days that lead up to the match. You may have heard that carbohydrates are the main energy source used in high-intensity activities, like a GAA match, for example, and that’s correct. The reason for this is that carbohydrates are relatively quickly converted into fuel, and can therefore support the high energy turnover of the muscles when they are working at high intensity. For that reason, it is important that you have enough carbohydrate stores in the muscles, when it comes to match day. The stored form of carbohydrates in the muscle is called glycogen. In order to increase these glycogen stores, we need to eat sufficient amounts of carbohydrate-rich foods, like potatoes, rice, pasta, oats etc. When this is done in the lead up to a sporting event, it is usually called “Carb-loading”. Obviously your match-day food will be affected by a lot of different things, including the time of the match, whether you’re eating at home or with the team, and even how nervous you are feeling on the day. The important thing is to control as much as you can, meaning that you should prepare ahead of time, having bought any food that you need in the days beforehand, having planned out what your meals and snacks are going to be, getting out of bed at the right time etc. The aim with your game day eating is to top up glycogen stores, achieve adequate hydration, and generally feel energetic going into the match. Outside of the pre-match meal, your game day meals should generally contain some carbohydrates and protein, with moderate-low amounts of fat and fibre, and no foods that you know you don’t digest well, in order to avoid any digestive troubles, and snacks should be mostly carb-based, again, topping up the glycogen stores. Hydration should also be a priority, sipping on water throughout the day, without going majorly over your usual intake. If you’ve done everything mentioned above, you’re are almost good to go in terms of getting your nutrition right for game-day. The last step is that period of a few hours before the game, right up to the starting whistle. There are two periods worth thinking about when it comes to pre-match nutrition. The first will be the final set meal before going into the match, and the second will be the period of about an hour before the match. In the 1–4 hours before the match, the aim is to make sure we are topping off glycogen levels in the body. That means consuming some form of carbohydrate. However, we don't want to be eating a carbohydrate-only meal (like I did with the big bowl of rice). Having a protein source, such as chicken, for example, and a small amount of fibre in the form of vegetables or fruit, will slow down the rate of breakdown of the carbohydrate, keeping blood sugar more stable. This protein feeding also has the advantage of amino acids being present during the training, decreasing the amount of protein (muscle tissue) being broken down to be used as fuel. This effect may be small in the overall context, but another advantage is that this may also help the recovery process post-competition. In this meal, we may also want to avoid hard-to-break-down foods such as fats and fibre, as we want to avoid the feeling of a full stomach during competition. The size of the meal will vary greatly for individuals based on how soon before the match the meal is being eaten (obviously smaller the closer to match time), the size of the individual, whether or not they had meals earlier in the day, personal preference, potentially how nervous they are (nerves making it difficult for some people to eat, or even digest their food) and a few other factors. All of these meals should be seasoned with some salt, as there will be a loss of salts during the match, and these will help with fluid balance and hydration. Timing-wise, it will be quite different based on your individual situation, but generally, the final set meal should be between 2-4 hours pre-match, allowing adequate time for the food to be digested, but not so far away that you are hungry before or during the match. If you have your pre-match meal 3-4 hours pre-match, it could be worth snacking on some carb-based snacks in the hour or two leading up to the match. Good examples would be rice cakes, toast, fruit (dried or fresh), and oat bars (be careful of fat content). In the 0–60 minutes before the match, which may be during or after the warm-up phase, we may want to take advantage of the chance to get some extra glucose into the bloodstream, potentially topping up some glycogen stores and lessening the effects of fatigue. This can be done through some form of fast-acting carbohydrates, such as jelly sweets, or dextrose, glucose or maltodextrin powder mixed with water, or perhaps an isotonic sports drink or gel, if the budget allows for this. We should be mindful of how this drink will affect performance in terms of feeling nauseous, as well as creating the need to use the toilet during competition, so some experimentation is required. In general, a drink containing 300–500g of water, 20–40 grams of fast-acting carbohydrates (sugars), 1/2 teaspoon of salt, and some flavouring, can be advantageous to consume, in the 0–30 minute period before the match (as well as throughout the match and/or at halftime). This is basically the same make up as your usual isotonic sports drink, so if you don’t want to put together your own, sipping on a sports drink in the lead up to the match, or having a glucose gel during the warm-up and and and/or at halftime can be a good strategy. Another potential supplement to consider pre-match is caffeine. I'll direct you to an in-depth article I wrote on the topic here. Essentially, it can be beneficial to consume caffeine in pre-match or pre-training, for an extra cognitive and physiological boost. It is important to consider timing and dosage. Caffeine generally peaks in the bloodstream about 45 minutes after consumption, so altering intake based on that can be beneficial. As well as that, it is important to consider how caffeine affects sleep. Caffeine can stick around in the bloodstream for over 5 hours, so if consuming caffeine for an evening match or training session, it's important to factor this in, and alter timing and/or dosage, knowing that poor sleep can have a major negative effect on recovery, health, hunger and general well-being. Plenty of carbohydrate and water in the days leading up to the game and on game-day. Pre-match meal containing some carbs, some protein, little fat and fibre. Avoid hard-to-digest foods in the pre-match meal. Eat at a time that allows you to not feel hungry or full during the match. Consider a pre-match drink containing some quick-digesting sugars, and some salt. Consider supplementing with caffeine 45-60 mins pre-match for a cognitive and physiological boost. The mention of fruit and vegetables brings back memories of parents telling us to eat them up if we’re going to get dessert. And if you’re like me, that’s probably stuck with you, even though you might have let your intake of them fall by the wayside when you began having more control over your own food intake. 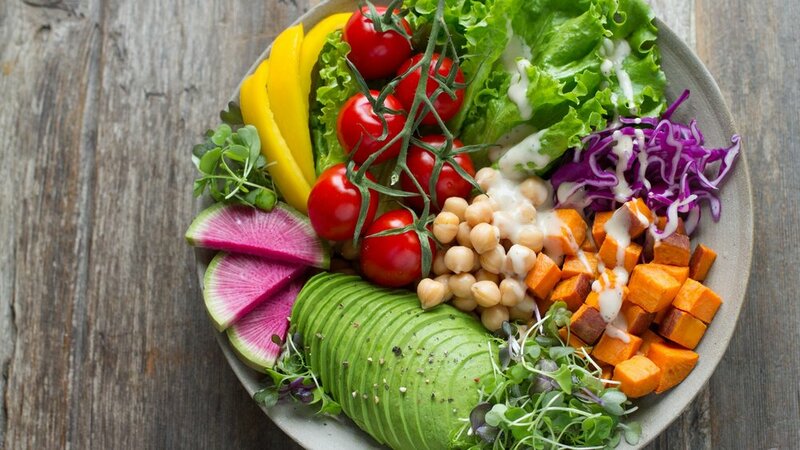 Particularly when we know the importance of energy balance and macronutrient intake, it can be very easy to forget about the fundamental importance of vegetables. But have you ever stopped to ask yourself why fruits and vegetables might actually be important? Here are some solid reasons for why you might want to start consistently hitting that 5-10 portion per day mark! Fruits and vegetables are usually high in fibre, and having sufficient fibre intake is important for digestive function. But that isn’t limited to your ability your ability to use the toilet. To digest food is to break it down, so that we can get the nutrients out of it, to be used in the body. We can’t get the glucose from complex carbohydrates, or the amino acids from protein, without first breaking them down, for example. Soluble fibre (from foods like the flesh of apples and pears, berries, oats, beans, nuts, seeds etc.) form a ‘gel’ with the food, which may slow down the movement of food through the digestive system, allowing your body to absorb the nutrients in that food. On the other side, Insoluble fibre (from foods like fruit skin, leafy vegetables, broccoli, bread, brown rice etc.) provides the food with bulk, accelerating the body’s drive to pass the food through, allowing the removal of the food after we’ve gotten the nutrients from it. For these reasons, it’s important to get plenty of both types in. Luckily, most fibre-rich foods, even the ones mentioned above contain some of both forms. Eating a wide range of fruit and veg, (whilst adding in things like whole grains) can go a long way towards optimising your fibre intake. As a side note, fibre intake is also associated with controlling cholesterol, as well as helping reduce the risk of bowel cancer. As a general recommendation, 10g of fibre per 1000 kcal consumed is a good place to start, meaning that someone consuming 2500 kcal daily would aim to eat 25g of fibre per day. For many GAA athletes, hunger isn’t much of an issue, due to the relatively large calorie intake, but some still struggle with it, particularly when eating less in an effort to lose weight. Given the fact that most fruits and vegetables are relatively low in calories compared to their volume, including more can mean eating more food volume, without adding a lot of calories, and even reducing calories. There was a study done where some of the participants ate an apple, 15 minutes before a meal, which resulted in them eating less food (fewer calories) than a group that didn’t eat the apple. The apple-eaters actually reduced their caloric intake by more than the calorie amount of the apple. This basically meant that eating the apple before the meal and then eating the meal, led to less overall intake than eating the meal alone! The study also compared apple juice, which didn’t reduce the overall intake, indicating that the fibrous element of the apple probably contributed to the fullness. And you don’t even need a study to make this point. If you had a meal of chicken and rice for example, but decided to add a big pile of lettuce and cucumber to the side (basically negligible calories), you probably know without trying it, that it’s going to fill you up more. It’s not quite clear whether or not athletes should be recommended to eat more micronutrients than non-athletes. Some say that the increased demand on the body requires more micronutrition, whilst others say that the usually increased food intake of athletes means that they end up getting more in anyway. Either way, we can say that athletes probably need at least the same amount as non-athletes. There is also some evidence suggesting that athletes are at a greater risk of being deficient in certain vitamins and minerals, especially when they restrict their diet in terms of energy (calories), or in terms of specific foods like meat and dairy. Vitamins are essential nutrients that the body usually cannot produce enough of, and which it needs to get from food. These include the fat-soluble vitamins, A,D,E, and K, and the water-soluble B vitamins and vitamin C. They facilitate a huge number of varying roles within the body, including energy production, cellular repair, skin health, improving and immune system function, among many other things. Minerals are also crucial to maintaining the overall health and functionality of your body. These include things like sodium, potassium, magnesium, chloride, calcium, iron and zinc, among others. They are also involved in many functions in the body, including fluid balance, transmission of signals to muscles, muscle contractions, maintenance of structures like bone, and hormonal regulation. It would be much too complicated to start trying to find out how much of each vitamin and mineral we are taking in (although a blood test to find out your levels might be an option), so instead, we should follow recommendations around our consumption of certain foods, primarily fruits and vegetables. We’ve all heard of the 5-a-day recommendation, and its a good place to start, but getting up towards an 8-10 per day mark might be a better place to aim for, given that you are likely to be consuming a lot more food than most people anyway given your energy demands, and because there may be more demand for micronutrients, given the extra stress on your body. Consuming meat 1-2 per week, consuming dairy (where possible), and getting sunlight often (for vitamin D production) can also help ensure adequate micro-nutrition. A multivitamin can also help, and specific vitamin/mineral supplements can be used to counteract potential deficiencies, but these shouldn’t be seen as an alternative to consuming fruits and vegetables. Given that water makes up over 50% of your body (yep, that’s right, you are more water than you are human), and that water is being removed throughout the day via urination, breathing, and sweating, it is crucial that we are replacing it, by consuming sufficient water. Doing so allows the body to better regulate its temperature (which is crucial during training), digest food, transport nutrients around the body, lubricate joints, improve many other biological processes. As a GAA Athlete, where you tend to be training often and hard, and therefore tend to sweat more than non-athletes, it can be difficult to meet your hydration requirements through water alone. Many fruits and vegetables can help out here. Some fruits and vegetables are even made up of over 90% water, meaning that whatever volume of that fruit you consume is almost equivalent to consuming that volume of water. e.g. if you eat a piece of watermelon the size of a glass, that is almost the equivalent of drinking a glass of water. Apart from the replacement of fluids, proper hydration also depends on having adequate electrolyte balance. Electrolytes are salts that are often found in foods and drinks, and they include sodium, potassium, calcium, chloride and magnesium. They play a key role in the electrical signalling systems in the body that affect the heart, muscles and nerves, and they also help regulate fluid balance in the body. At some stage, we’ve probably all been in the habit of eating bland chicken and rice, or plain porridge, or potatoes and meat. And we can often narrow our range of food down to a set of 2-3 protein sources, and 2-3 carbohydrate sources. If you’re someone like me who loves food, that just gets boring after a while, and who can blame you for feeling the need to eat pizza and take-away food all weekend if you’re eating tasteless, boring food all week? Including fruits and vegetables opens up a huge range of possibilities within your diet. They’re extremely versatile, meaning there is a range of different ways that they can be prepared and cooked, so watery, soggy broccoli isn’t your only option here! There are also so many different types of fruit and vegetables, that you’re sure to find some that you like. (Check out some recipes on my Instagram for ideas). You didn’t always like coffee or alcohol either, but your tastebuds adapted. In the same way, your tastebuds can adapt to enjoying vegetables over time, if you eat them enough. However, in order to improve your ability to enjoy them, try preparing them in a few different ways (frying, roasting, raw etc) and try adding spices and sauces to them. Given the importance of fruits and vegetables to your overall health and performance, you can’t afford not to get them in! You’re an adult, so you can do whatever you want. But is it optimal to forget about the quality of food that you’re using to hit your macronutrient targets? Of course not. The three main macronutrients (Protein, fat, and carbohydrates) make up your daily energy intake (find your how to estimate your calorie requirement as a GAA Athlete here), meaning that by manipulating your macronutrient intake, you are also manipulating your energy intake/caloric intake. Alcohol is technically a fourth macronutrient, but we’ll get into that topic in other articles, and not talk much about it here, as it makes up such a small fraction of most people’s daily intake. Whether you regularly track your food or not can depend, in part, on how it fits into your lifestyle and your relationship with food. Some people find it quite constricting and impractical, whereas others find it frees them up, knowing that they can fit in some treats, whilst fuelling their training and achieving their body composition goals. When we eat protein-rich foods, the protein is broken down into smaller particles, known as amino acids. These amino acids are the building blocks of protein structures such as muscle tissue, but also things like hair and nails. In order to ensure the building up (or synthesis) of new muscle equals or exceeds the breakdown, it is important to supply the body with sufficient amino acids, by eating enough protein. As with our muscle protein, our body fat is continuously in flux, with fatty acids continuously being both released to be burned as energy, and being stored. The balance of how much is released and burned vs. how much is stored is ultimately what determines how much body fat is gained overall. This is almost completely a result of how much energy (calories) you take in vs. how much you have expended/burned (energy balance) over time. In calculating how much fat you should be aiming to consume, it’s important to consume enough to cover these processes, and the other biological processes involving fat. Fat also contributes to the overall enjoyability of the diet, which is important when considering the sustainability of the diet. It’s also important to remember that the more fat you consume, the fewer carbohydrates you’ll be able to consume whilst staying within your calorie target and given the importance of carbohydrates, you may not want to have to reduce your intake of them. Given that fat contains 9kcal per gram, we can say that fat will contribute 900 kcal (100 x 9) to our example athlete’s the overall diet. Our original target of 365g does fit in this, but there may be case to increase that towards the higher end of that range, particularly in times of high training load. This may mean that you increase overall caloric intake as a result, or you may decrease fat intake in order to maintain the same caloric intake. Using the article on calculating your calorie intake for GAA (HERE), you can now go ahead and calculate your own energy and macronutrient requirements to optimise your performance, recovery and body composition for GAA.